Former Cage Warriors champion Chris Fishgold will make his UFC debut on October 27 at UFC Moncton. Former Cage Warriors lightweight champion Chris Fishgold will make his UFC debut on October 27 when he takes on American Calvin Kattar at UFC Moncton. Fishgold (17-1-1) signed for the UFC back in May and will be making the move down to featherweight for his promotional debut. 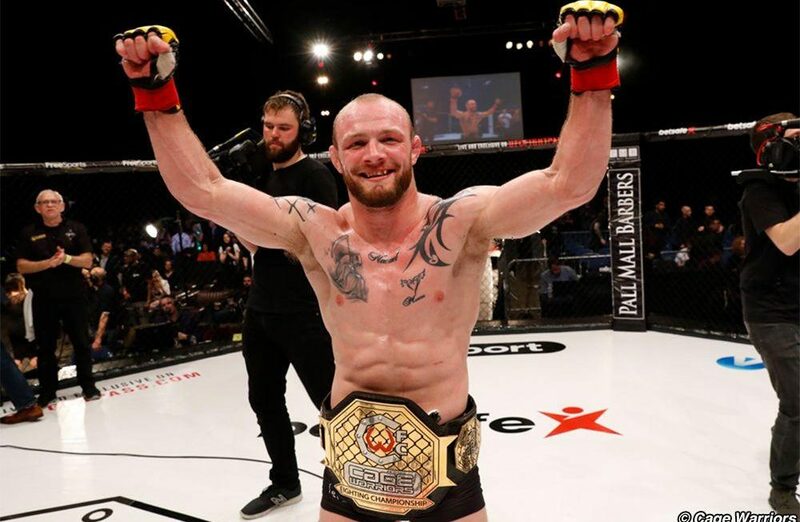 The Liverpudlian is currently riding a 7 fight win streak and vacated the Cage Warriors lightweight title earlier this year after winning the belt back in August 2016 when he defeated Adam Boussif at Cage Warriors 77. Fishgold then went on to defend the belt three times against Jason Ponet, Nic Herron-Webb and Alexander Jacobsen before getting the call from the UFC in May. Kattar (18-3) debuted for the UFC back in August 2017 when he faced Andre Fili at UFC 214 and won via a unanimous decision. The American then went on to face and defeat Shane Burgos at UFC 220, but then saw his ten fight win streak snapped by Renato Moicano at UFC 223 in July. Fishgold vs Kattar is the 13th fight to be added to the fight card which will be headlined by a UFC light heavyweight fight between Volkan Oezdemir and Anthony Smith.